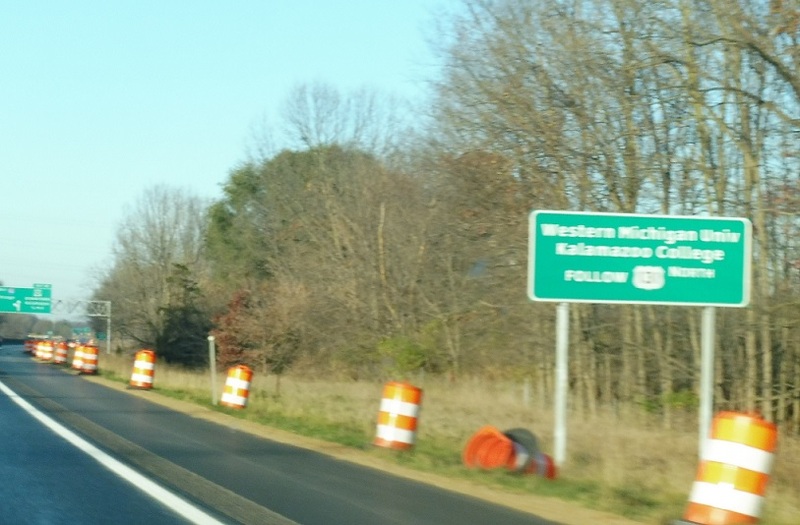 Reassurance shield after M-37 as we enter Kalamazoo County. 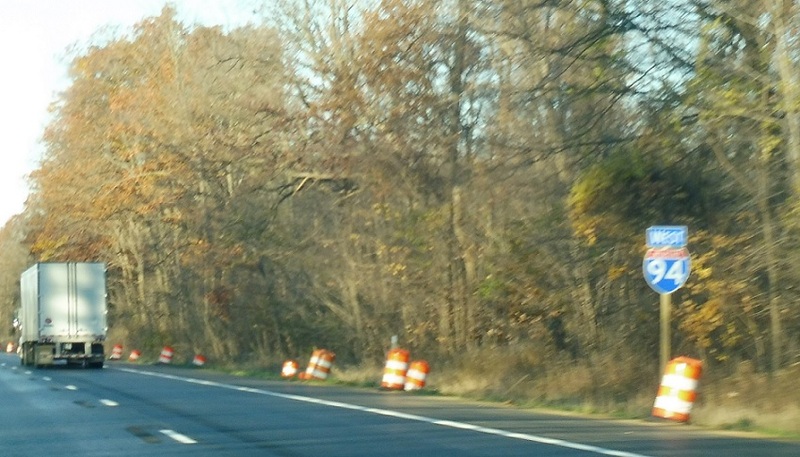 Reassurance shield after the 40th St interchange. 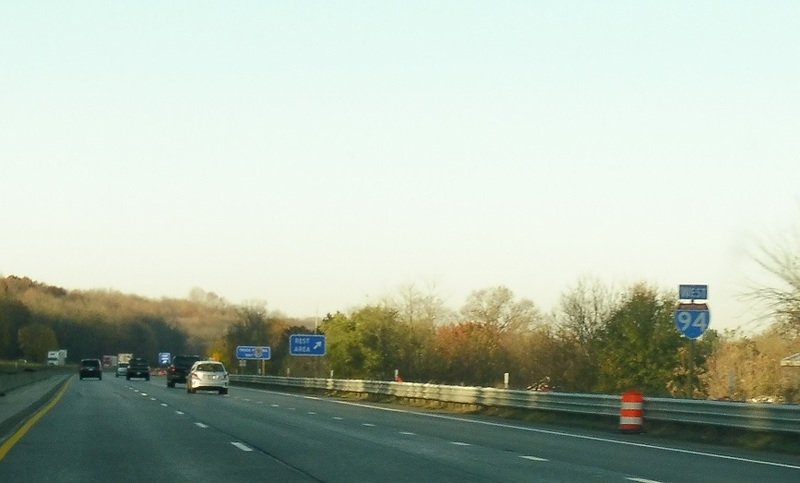 Reassurance shield after the Galesburg interchange. Reassurance shield after the Galesburg Rest Area. 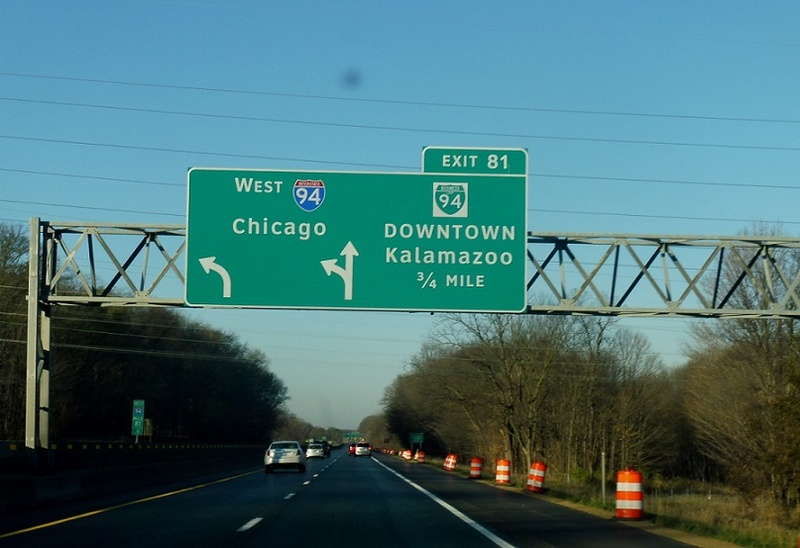 As we approach Kalamazoo, we’ll approach its business loop. 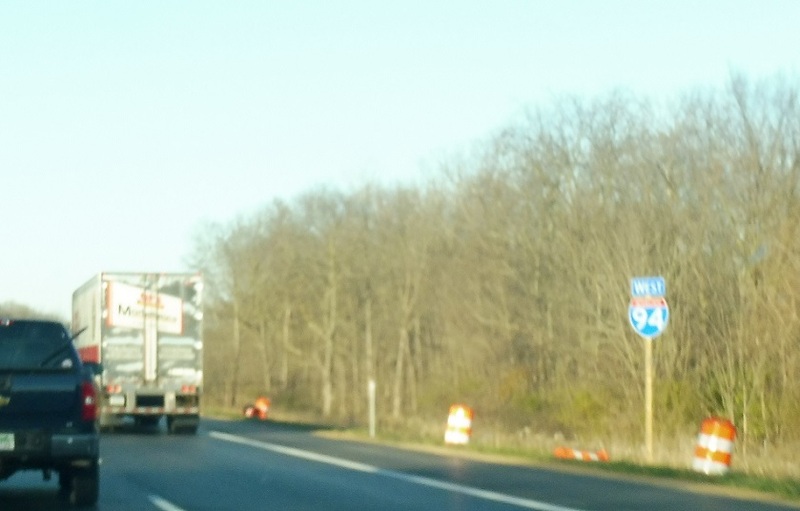 Follow US 131 to get to WMU. 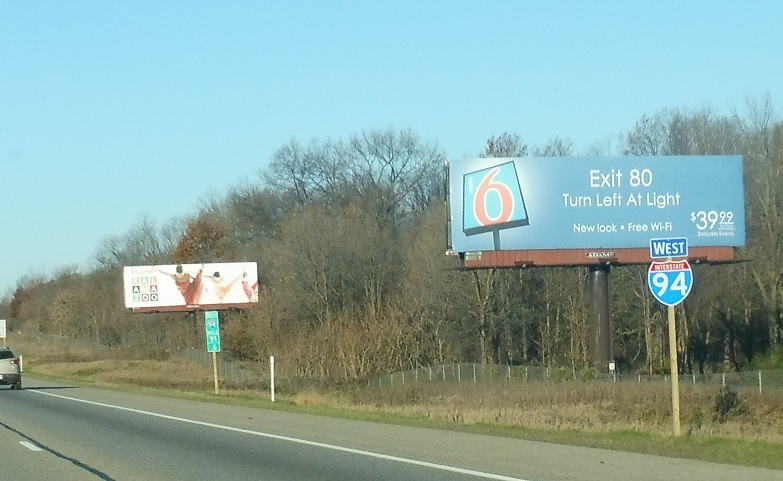 Exit straight for I-94 Business. 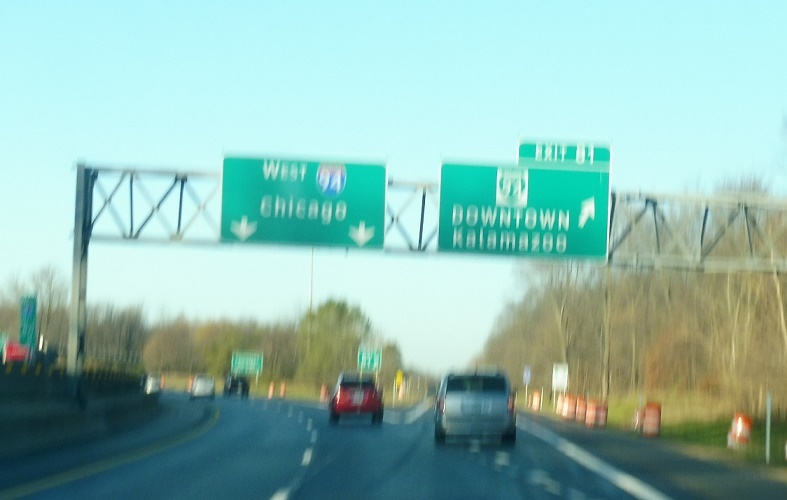 Keep left for I-94 west. 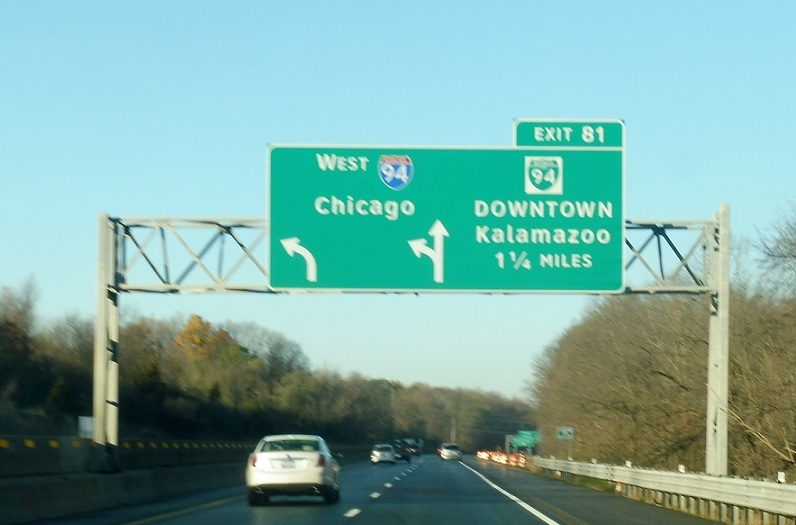 Exit for I-94 Business into downtown Kalamazoo.